There is certainly no shortage of highly appealing midsize crossover sport utility vehicles. 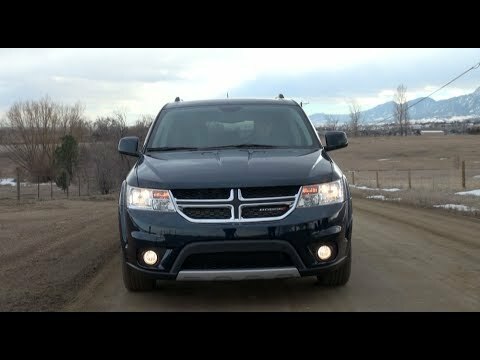 In that crowded field, the 2014 Dodge Journey offers a long list of thoughtful features, versatility in its seating arrangements and cargo-carrying capabilities, a choice of a 4- or 6-cylinder engine, front- or all-wheel drive, 5- or 7-passenger seating and, perhaps most important, an affordable price. It is very reliable. Even with the issues I've had with sensors, it has always safely gotten me where I needed to go. My Journey has it's pros and cons. It's very roomy inside. It seats 7. Both the back row and the middle row seats fold down, providing lots of space for carrying things. I've taken it on a couple of long trips and it was comfortable and got good gas mileage. As for the cons, it doesn't have much power, so be sure you have plenty space before pulling out into traffic. It's had a lot of issues with sensors, beginning not too long after I got it. It has 2 recalls but my local dealership has been unable to get the parts for the last 2 years. Overall, it's a decent vehicle, just not for me. Need a reliable and economical car? Take a Journey for a spin! The Journey is comfortable and will seat up to 7. Gas mileage is about 22 miles per gallon. Only major issue since purchasing it new was the transmission went out, but it was completely covered by the 6 year 100,000 mile warranty. Changing oil and filters as well as tires and windshield wiper blades have been the only maintenance costs. At 75,000 miles plus the car still runs great and has no mechanical issues. I would recommend this car with the V6 engine to anyone with at least two kids, needing reliable transportation. It gets great gas mileage! This car has been a great car. It has automatic windows and locks, two row seating, and a large trunk area for storage. It gets about 25 miles per gallon and rides really smoothly. It has cruise control and a/c. One is the downsides is that it has no air vents in the back area of the vehicle so air flow does not flow as nicely to the back seat. The battery is located in a really strange place so it makes it almost impossible for you to change on your own. We have had really no issues and enjoy the vehicle. 2014 Dodge Journey SXT: Where does it belong?